Do you wonder if your new hubby is still using Tinder on the sly? You could go down the tedious route of making your own account and swiping until you find him, or you could buy this app. The app, called Swipebuster, was released just a few weeks ago and simplifies the process of snooping on your significant other. For $5, you get access to the database of Tinder users minus the hassle. Plug in a persons first name, age, gender and likely location of last use and the app will return the results. These results include up to date profile pictures and the last time and date that that person logged on to Tinder. Sounds pretty good right? Not according to Vanity Fair. 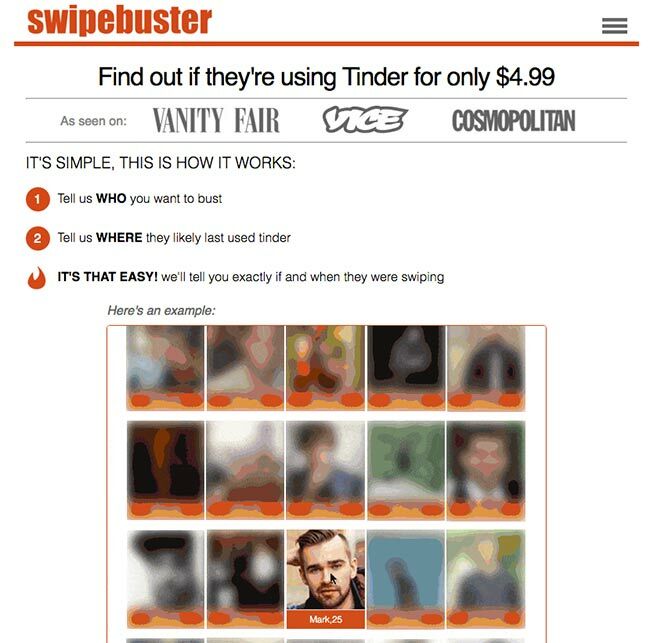 The magazine released an article that questioned the ethics of Tinder, which has been allowing access to its users information to the highest bidder, as shown by Swipebuster. Would you use this app to check up on your partner?